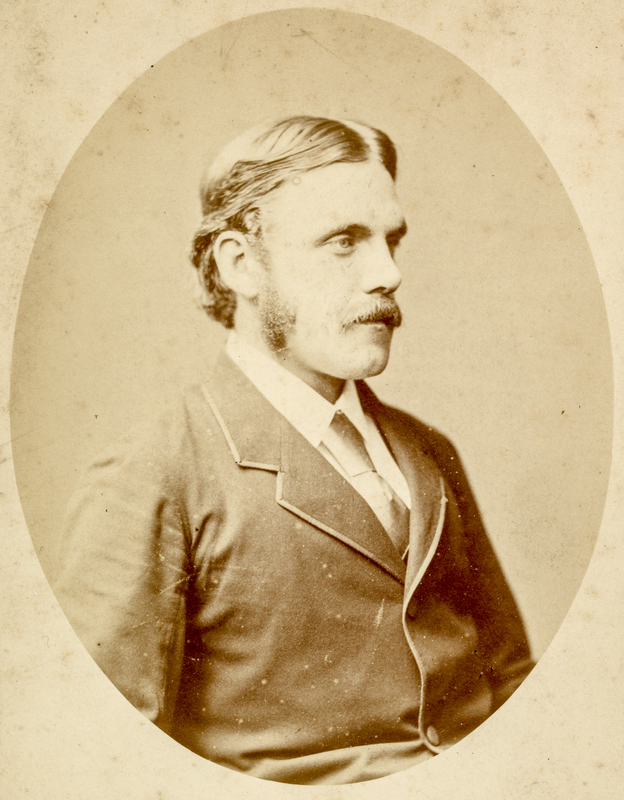 Francis completed his studies at Cambridge, taking third place in first-class honours in the natural sciences tripos in December 1870. The small amount of surviving correspondence with his father while he was a student is largely about money. He had fallen into debt and had kept the matter secret for some months. Darwin was very stern in his advice: ‘I have never known a man who was too idle to attend to his affairs & accounts, who did not get into difficulties; & he who habitually is in money difficulties, very rarely keeps scrupulously honourable. . . . My father, who was the wisest man I ever knew, thought it the duty of every man, young & old, to keep an account of his money; & I very unwillingly obeyed him; for I was not always so bothersome an old fellow as I daresay I appear to you’ (letter to Francis Darwin, 18 October ). Subsequently Francis studied medicine in London, working for a while with the histologist Edward Emanuel Klein at the Brown Institution, but never practised. He became engaged to Amy Ruck in 1872; the couple married in 1874. Francis was already living in Down. and from the previous autumn had been employed as his father's secretary and assistant. Darwin had been concerned about his son giving up a career in medicine but Francis's uncle, Erasmus Alvey Darwin, supported him: “After all he is a Darwin and the chances are against any of our unfortunate family being fit for continuous work” (letter from E. A. Darwin, 25 September ). Shortly afterwards, it was arranged for Francis to rent a house in the village (Down Lodge). After Amy's death in 1876, a few days after the birth of their son, Bernard, Francis moved back to Down House, and collaborated in his father's botanical work, spending some time in a laboratory run by Julius von Sachs in Wurzburg. Francis Darwin was elected to the Royal Society in 1882, the year of his father’s death. From 1884 until his resignation in 1904, he taught botany in Cambridge. He was knighted in 1913, the year of his third marriage (his first two wives having died, and his third wife predeceased him). It is noteworthy, of course, that his father had not been knighted, although in 1877 Charles Darwin was awarded an honorary degree from the University of Cambridge. Francis had worked with his father, notably on movement in plants, and they had written a book on this topic together (The Power of Movement in Plants, 1880). Perhaps Francis Darwin, whom the family regarded as a talented writer, is mostly remembered today for his attention to his father’s reputation: in 1887 he published an edited version of his father’s autobiography, and in the same year, and again in 1905, he published volumes of Charles’s selected letters. His Royal Society obituary notice suggests a gifted, straightforward and deeply kind man. ML:More letters of Charles Darwin: a record of his work in a series of hitherto unpublished letters.Edited by Francis Darwin and Albert Charles Seward. 2 vols. London: John Murray. 1903. Friday, Adrian. 2009. University Museum of Zoology Cambridge: the Darwin collections. InA voyage round the world; Charles Darwin and theBeaglecollections in the University of Cambridge. Edited by Alison M. Pearn. Cambridge: Cambridge University Press. Barbieri, Francesco and Taddei, Ferdinando. 2006.L’Accademia nazionale di scienze, lettere ed arti di Modena dalle origini (1683) al 2005. Modena: Mucchi. The text is expanded from 'Francis Darwin' by Adrian Friday (Alison M. Pearn, ed., A Voyage round the world, Cambridge University Press 2009, p. 92).